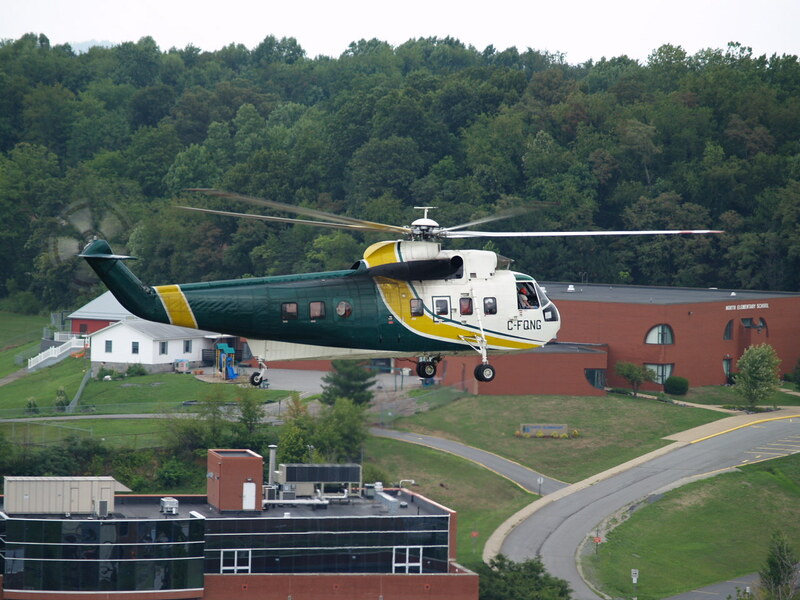 This project was a facility improvement, involving the upgrade of the existing electrical power distribution system at a +/- 500,000 square foot medical office/research building at the Robert C. Byrd Health Sciences Center at the West Virginia University medical campus. This project was a continuation of the Phase 1 power upgrade completed in 2003. Electrical design for this phase included the extension of new 4160 volt circuits from the building existing medium voltage switchgear (designed by our office and installed in Phase 1) to new 208/120 volt and 480/277 volt double-ended unit substations. We worked with the project structural engineer to design a platform on the roof of the mechanical penthouse to support the equipment. The project also included arc flash calculations and a coordination study and for facility personnel. The original building system utilized paralleling transformers connected to a common bus loop. The original design was to allow redundant transformers. The 60 year old system had become almost completely loaded and transformer redundancy was lost. The project split the old bus loop and doubled the system capacity. At the same time, the use of double-ended substations created the ability to take transformers out of service and still serve the load. Unused space is at a premium in this facility. 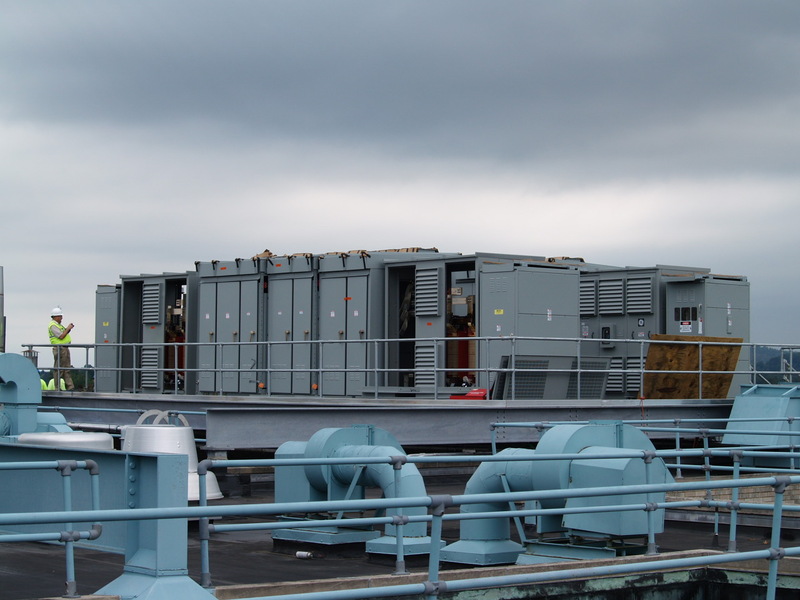 Installing the unit substations in weatherproof enclosures on the roof of the penthouse located them near the loads while not taking up space needed for other systems. 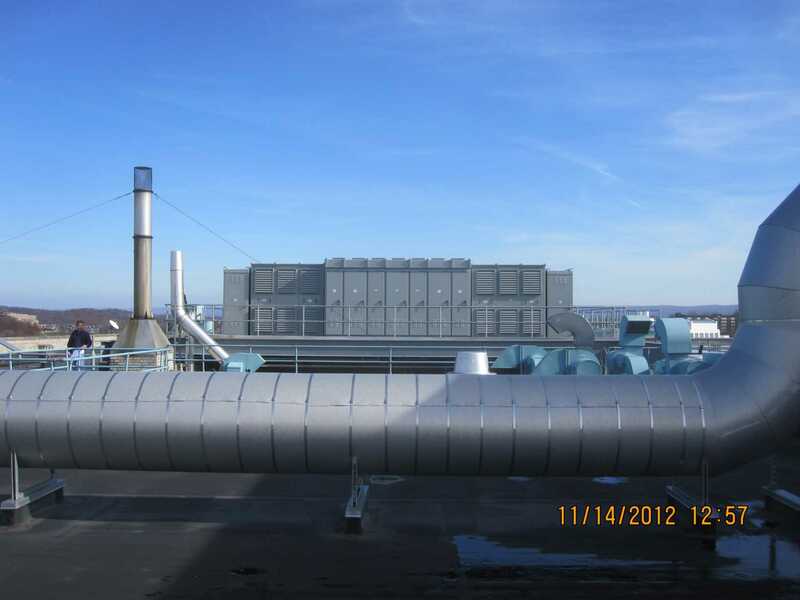 This project was completed with a net deduct of +/- $1,000 total change order costs. The 120/208 volt bus serves active laboratories and animal quarters. All new equipment was installed and new loads connected with a maximum shut down of 4 hours to active areas. Rigging the equipment to the roof was also a challenge because of surrounding structures. 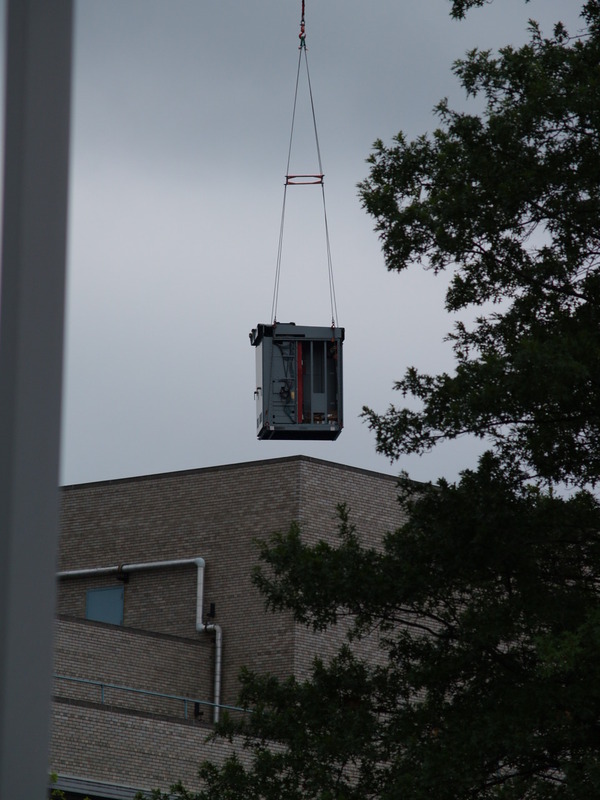 A helicopter lift was used to expedite the rigging process.